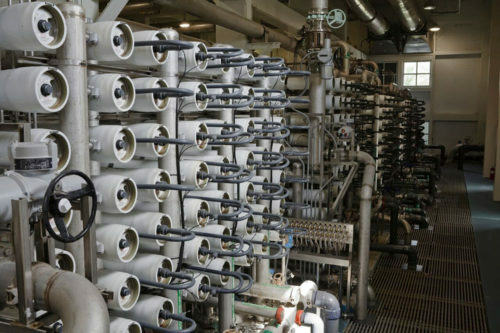 Cleaning filter membranes is a challenge faced by water treatment facilities across a variety of industries. In addition to municipal water treatment plants, wastewater treatment occurs in the automotive, metalworking, food & beverage, textile, parts cleaning, oil & gas, pharmaceutical, industrial manufacturing, and electronics industries. Keeping filter membranes clean is a concern to all of them. Once membranes become fouled from use they become less effective. Clean membranes allow for the proper flow of water. Keeping membranes clean is essential to maintaining an optimal flux rate and helps ensure that the treatment plant is operating effectively. Therefore, it is important to implement a regular membrane cleaning regimen. Finding the right membrane cleaner for the job can be a challenge. Using the right membrane cleaner is a good economic decision as it minimizes downtime and prolongs membrane life. Since membranes are extremely expensive, most facilities try their best to keep them operational for as long as possible. What should treatment plant operators seek in a membrane cleaner? Cleaners should restore membrane flux. This will help prolong the life of the membrane. Products that will reduce the cleaning frequency needed. This will lead to reduced down time and lower costs for cleaning products. Cleaners that are safe for the membranes and the environment. Products that are easy to use. Many membranes are sensitive to harsh chemicals and extreme pH levels. It is important for treatment plant operators to choose cleaners that will not be harmful to the membranes. Many specialty cleaners with mild pH ranges and safe ingredients are formulated to be effective, non-harmful cleaning agents for membranes. What types of soils are present? Different types of soils require different types of treatment. Plant operators must also consider the type of soil found in the water that is being treated. Alkaline cleaners dissolve oils and greases. These types of soils are often found in industrial manufacturing facilities. An alkaline cleaner that also contains chelants can suspend metals and minerals to restore membrane flux. Acid based cleaners are excellent at dissolving scale, like calcium carbonate or iron oxide. But, many acid cleaners, such as sulfuric, hydrochloric, and phosphoric, are hazardous. 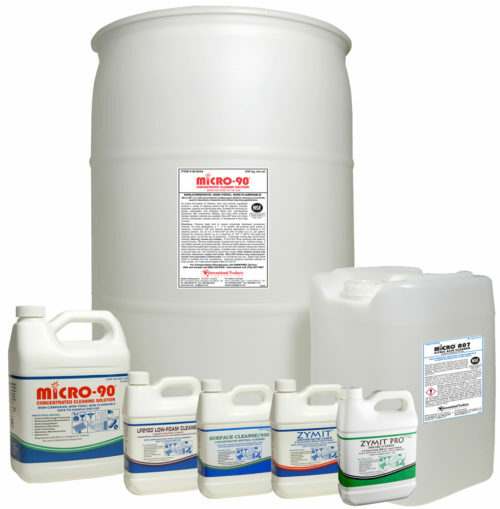 Citric acid cleaners are much safer and have a broader range of filter compatibilities. Citric acid cleaners that also contain surfactants can go after many oils and greases that might be present in addition to scale. In the food processing industry, soils may contain proteins and starches. Enzymatic cleaners are an excellent choice for targeting these soils. Most foulants are combinations of various soils. Choosing a formulated cleaner with multifunctional ingredients is usually the best solution. There are so many variables that can exist in choosing the right cleaning product for each facility. Treatment plant operators can benefit greatly from working with specialty cleaner manufacturers that can offer them technical guidance and provide them with a variety of products to best meet their needs. When selecting a membrane cleaner find a company that provides a range of proven products and offers free technical support, free product samples, customer referrals and on-site assistance. Read this article about how one municipal treatment plant keeps their membranes clean and functional. More information about membrane cleaning can be found on International Products Corporation’s website. Contact our technical specialists for assistance in choosing the right membrane cleaner for your operation.